Renata Castro, Esq. is a vibrant attorney who graduated from the prestigious Nova Southeastern University School of Law in Davie, Florida and admitted to practice by the Florida Bar. Founder of the Castro Legal Group, in Pompano Beach, Florida, Renata focuses her practice in Immigration Matters. Born in Brazil, Renata has been in the USA for over a decade, and now resides with her family in Margate, Florida. Fluent in Portuguese and Spanish, Renata is engaged in the community through political activism, volunteer work and community outreach. 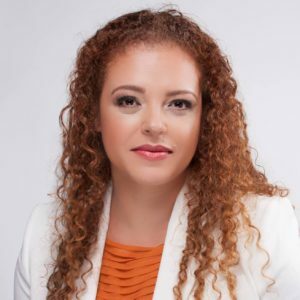 President and Founder of ABILA – American Brazilian International Lawyers’ Association (www.brazilusalaw.org), Renata aims to integrate the Brazilian community abroad by spreading awareness and information about legal issues that are particularly important to the community. U.S. Domestic Medical Travel (USDMT): What services does your law firm provide? Renata Castro, Esp. (RA): Castro Legal Group is an immigration focused law firm in Pompano Beach, Florida. We service companies and families across the globe, as well as individuals, who desire to migrate to the USA. USDMT: How has increased medical tourism to the U.S. impacted immigration laws? RA: In the past, medical tourism focused on cheaper treatment. However, due to the USA’s longstanding law granting citizenship to individuals born on US soil (jus solis), irrespective of their parents’ individual lawful status, there have been recent crackdowns to inbound medical tourism. Russians and Chinese have historically used this “birth market” tactic to establish a future pathway for legal migration to the USA. But the FBI has stifled these activities and conducted several raids on those agencies which facilitated delivery of children born to foreigners in the USA. Anchor babies as they are known, are believed to give parents immediate immigration benefits. But public perception of this trend is quite negative, particularly under current conditions regarding immigration, and in spite the fact that the citizenship/birth industry moves millions of dollars into the USA each year. Moreover, US citizens are taxed in their worldwide income, so these young Americans who are born here and will live abroad will become a source of revenue for the USA a few years down the road. USDMT: How can traveling to another state to access certain procedures and medical attention be a potential threat to someone’s immigration status? RA: In the brink of despair, we have seen individuals defrauding the system of state-funded healthcare programs to obtain care while it is available. Especially noteworthy is the case in Massachusetts, where the state government’s free care program is seen as a lifeline for care — despite state, federal and immigration law violations related to the application, in certain cases. USDMT: Does traveling outside the U.S. pose a potential issue with someone’s immigration visa? For example, individuals who have green cards are limited in the time period they can spend abroad. Moreover, individuals who were granted asylum should not return to the country they fled, as it could indicate their petition was fraudulent to begin with. This is of utmost importance, as many individuals seek care in their home countries due to financial constraints or language barriers. It should also be noted that the USA places higher scrutiny on individuals arriving in the USA from high security clearance countries. Therefore, if the person is seeking care in one of these countries, it could be problematic. USDMT: Does delivering babies with tourist visas happen often? RA: Yes. The law allows anyone with a valid tourist visa to receive healthcare in the USA, as long as the individual “has the means to pay for the treatment.” This includes and is not limited to doctor’s and hospitalization fees, as well as other medical and related expenses. Many countries have a well-developed citizenship market, and an American passport is highly desirable. Many families see this opportunity to not only provide their offspring with a valuable passport, but to also enjoy world class medical treatment, paid by their own funds, more often than not. USDMT: In your opinion, do you see the increase in medical tourism posing a threat to those with visas? RA: I believe that the birth market in the USA will see a cooling-off period. Having babies in the USA is not a crime, under any circumstance. However, having the intent to set roots in the USA, work and live without the proper immigration status is the core concern of the government. Healthcare benefits funded by the government are another source of concern, as emergency aid may be available to individuals in the USA with any visa; constituting an immigration violation that could result in visa revocation. USDMT: What do you think will be some serious legal implications we can expect to see if people continue to seek medical attention in the U.S.? RA: Under current country conditions, it is not unfathomable for the US government to consider a move to change long standing laws such as jus solis — although it’s a long shot. I believe, however, that Customs & Border Patrol will increase scrutiny of individuals in advanced stages of pregnancy who are seeking entry to the USA with a temporary visa such as Tourist or Student Visa. In general, medical care in the USA is not within financial reach of those without insurance and is not a common concern. USDMT: A final word of advice to reduce risk? RA: Seeking legal advice for your specific case and intent is the only way to reduce the risks of immigration violations. Medical tourism to the USA is an alternative, as long as it’s done within the law. An immigration attorney’s assistance may be vital to accessing treatment and medical provider of choice in the USA.